they must do more for ME 'urban lepers' like himself. THE singer and co-founder of one of Scotland's best loved bands has told of how sufferers of myalgic encephalomyelitis (ME) like him are "disregarded and ignored" in a appeal to government ministers to do more to treat the "devastating" disease. 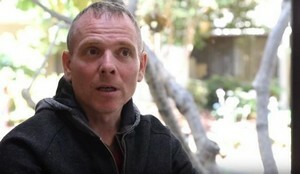 Stuart Murdoch of Belle and Sebastian has made his views known as Carol Monaghan, MP for Glasgow North West, leads a landmark debate on Thursday to call on the UK government to commit more funds for biomedical research into ME and to put in place more appropriate care plans for the estimated 250,000 ME sufferers in Britain. Mr Murdoch, who suffers from ME in an open letter to the government said "all we want is to get better" while criticising the "underfunding" of research into the condition. MPs will debate the treatment and funding of patients with ME, which leaves 75 per cent of those affected unable to work and 25% housebound or bedridden.